Between August 11 and 13, the Tanzanian archipelago of Zanzibar hosted 30 senior officials from Citi banks in Burkina Faso, Cameroon, Cote d’Ivoire, Ethiopia, Gabon, Ghana, Kenya, Mauritius, Mauritania, Malawi, Mozambique Tanzania Uganda and Zambia for the annual Africa Banks Forum, which seeks to explore emerging trends, challenges and opportunities in the African financial sector. According to Citi Tanzania’s Country Officer, Joseph Carasso, the forum offers the opportunity to learn from the experience and expertise of his colleagues in the Citi network. 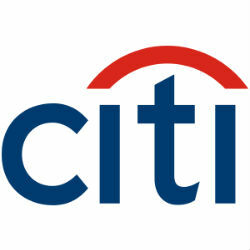 “The Citi Academy for financial institutions professionals harnesses the knowledge and expertise of the individuals that make up Citi and the programs are designed to deliver the value of the Citi network to our clients by keeping them informed of the changing market to enable one to make better business decisions,” he said. The Africa Banks Forum is a part of Citi’s global initiative to engage its clients from financial institutions with strategic dialogue and hands-on training.